The apple sat on the table. The table stood on glistening floorboards. The floorboards reached down into the dark hallway to blackness. I could hear him breathing. I was hungry but I refused to touch it. It was the deepest red I had ever known an apple to be. The shine was way beyond the waxy sheen of the grocery apples. This one looked like it was enameled. I stepped closer. I sniffed. The perfume rose into my nostrils and swirled into my brain. My stomach growled. I hated him for doing this. I stepped closer, my nose wanting another whiff. My stomach begging. As I moved my face towards the orb, a ghastly face appeared causing me to jump away tripping over my shoelaces and landing on my bum. “Damn.” The shoelaces formed a devious smile curling at me. I hurried out the door when I got his message. I hadn’t heard from him since we parted three weeks ago. He promised he would text me when he was safe. That was three weeks ago. I almost gave up hope ever seeing him again. Although that wouldn’t have been such a bad thing. Whatever I did with him turned into trouble. I was still nursing injuries. But thinking he might not have survived at all, that made me hurry to meet him. So I didn’t stop to tie my boots and here I was sitting on the hardwood floor inside a house I shouldn’t be in wondering about an apple. Oh, the tempting apple. I approached it, this time from the side with my hand waving in front of it. Okay. I was just a bit skittish before. The first time I faced the red mirror ball, the face was mine. But in the sheen of the strange apple, it distorted my face. Somehow all the things I didn’t like about my face appeared enlarged. I looked like a troll. I hated when he did this. Everything was always a “trial.” He said it was good for me. It would make me sharper and stronger. I bought it at first. I think the only thing it made stronger was his ego. But I played along as he was was the one who was to help us and I was the chosen one to be his acolyte. So now, hungry and with a sore bum, I had to decide what to do with the apple. Do I touch it? Do I eat it? Do I talk to it? Do I roll it down the long hallway hoping to make a strike? I looked at myself again in the glaze. This time, although it was still me, I was older. Grey hair, wilding around my face with strong wrinkles and a kindly smile? Could that really be me? Kindly and smiling were two words that rarely, if ever, described me. As I stared, my hazel eyes with the gold specks in just the left gleamed back at me, winked, then faded away. A fog started to roll from the top of the apple and began to veil it from my sight. It was his voice. It caught me off guard. I didn’t realize how much I needed to actually hear it to believe he was still alive. “Hurry.” This time it came more insistent. “What do you mean?” Should I grab it? Eat it? Smash it? I hated him for this. I hated that I always had to figure it out on my own. I could feel his crystal blue eyes watching. I knew there was a twinkle. That ego of his was insufferable. That was all it took. He knew exactly how to piss me off. I grabbed the apple and clamped down so hard I thought I might bite right through my fingers. But I didn’t. Just as soon as the ruby skin broke and juice ran down my chin, my nose filled with the honeyed scent. I chewed with so much zeal that it took me just three bites to eat the whole thing. I swallowed and felt warm and full. How could one apple fill a gut that was so empty? I closed my eyes and sighed. And when I opened them, there he was standing in front of me. He rose at least three feet taller than the top of my head. It wasn’t that I was so short, he was just tall. I wanted to hug him, tell him how worried I was about him. I wanted him to know how dark it was in the quarters waiting for word from him and how no one came. When they thought he was gone, they all left. I didn’t leave. I knew he would be back. I knew he would find a way. I wanted to tell him how much I cared for him. I sat down on the floor in the house where we shouldn’t have been. Squeezing the apple core of the most delicious apple I had ever tasted I started to cry. For the first time, I let him see me cry. He sat down next to me, reached out his big bear arms to encircle me, and I fell fast asleep. I hated him for not making me hate him. In the last post I explained why I haven’t posted here. Most of my writing has been for my class. Today our writing group got together and we wrote. Harrison, the high school son of one of our writers, challenged his mom with this prompt: I hated him for not making me hate him. I also brought some book covers in a bag from which we pulled one to use the title or picture or words. I was so pulled into the prompt that I didn’t even touch the book cover. One thing I find interesting about this piece. My character voice which has been a bit more fragile, seems to have grown stronger. I like her. I want to see where this goes. One would never know they were twins. She was tall, willowy with short cropped hair of every shade of purple she could concoct. Her fingers were elegant and held rings with stones in shades to match. Her clothes were an amalgamation of flowy gauzes and soft worn cottons, belts of woven wools, and usually one or two scarves tied just so. All in colors of violet or plum or lilac. You get the idea. Her hazel green eyes were the perfect garnish. And ballet slippers. Not just flats with hard soles and a small heel, but real soft pink ballet slippers. She wore them in rain, as well as snow. Her toes got cold and wet. It was her way of knowing she was still alive. Keeping in touch with what was real. He was just plain. Medium height. Medium weight. Brown eyes and hair. Brown clothes and shoes. He was much like a bush of witches broom. When they were together, she was the bloom to his branches. He didn’t mind. From the time in the womb he swaddled her with his arms. They had pictures. He just a mass of twine, she a blossom of light. When she left, he stopped using his voice. When she was there, he spoke through his arms and legs, she giving him the right turn of words. It was the only way for him to thrive, through her in order to speak. She gave him courage and always helped make his words become sweet as fudge. Without her he sounded like cauliflower, just a bunch of off-white, globs of mumbled up noise. So he stopped using his voice. His job at the botanic gardens was to carry and empty liquid waste buckets from ponds and waterings. He loved his job. In what other job would you get to walk around such beauty all year long? Rows and rows of flowers, bed after bed of vegetables. Trees and orchids. Rock gardens and alpine moss. His work hours were before visitors arrived. Then he returned just before guests left for the other half of his day. He loved quiet. His favorite spot was the garden with the Minotaur statue. It was bronze, a pretty kind of brown, strong and shiny. The Minotaur didn’t have to talk to others to know what it was about. One could just look at the Minotaur and know its power. And that’s what he did, for hours. He would hide so as not to be seen until it was safe to come out after the last workers left and the gates were locked for the night. He would make his way down the tabby path being careful not to be in the open. He wasn’t even sure he needed to hide. Most people never saw him anyway. When you are medium at everything and the color of branches, no one notices much. He would sit under the statue and stories of the Minotaur would flow into his mind. Sometimes when there was a full moon he would lay down on his back feeling the bumps and edges of the shells underneath him and watch the moon as Minotaur stories played across it as if it were a movie screen in the sky. Then he skedaddled before the early morning crew arrived. He made a stop at the coffee shop and picked up two coffees with cream and one pastry to share as he told the night’s story to his twin. She smiled and corrected his grammar and giving him the perfect words. Which he would remember to perfection, ready to be told again and again and again. This was his real job. He was the keeper of stories. It wasn’t just Minotaur stories. He gave voice to those who couldn’t speak. There was the little alabaster girl in the cemetary on a bench with her dog who placed its nose so lovingly on her lap that he couldn’t ignore their stories. Or the green patinated frog that crouched on the steps of Mrs. Patmos’ house regularly calling out to be heard. There were so many stories to remember to tell. Now that she was gone, how was that going to work? How would he find his voice again? There was a full moon that night. There was always a full moon now. Who knew that moving the kitchen table, just a slight angle so she could look out the window, not one direction but three, would make the difference. There was a new table cloth, too. After thirteen years, she was ready to look out from a different angle, a new light. Yes, new light. The moon was full that night ushering in the Solstice, the turn of the wheel to a new year. It was dark when she returned home to her new angle to the world. She took solace that after this night, light would grow again. Her feet hurt and her lunch bag was not to be found. She remembered setting it down at the bus stop. Her half-sandwich which she saved for dinner, half an apple, too, gone. She had little energy to muster. All she could do was crack open the kitchen window and sit at the table to look out. First left. Then right. Finally, settling on center as a small glow above Hank’s house caught her eye. She didn’t move. For the next hour the wheel turned slowly as the moon in her fullness rose above the house, trees silhouetting a figure. Crow kept her company this evening. The moon was full that night. “Hey! Rosewood! Where ya been?” A voice bellowed out of the dark. With ruffled feathers, crow rose above the tree top and disappeared as the tall, lanky figure emerged. Rose let out a sigh. The evening would now be given over to Hank. And his beer. These were words of ceremony. First, Hank announcing his arrival. Her reply. Then his request, which no longer waited for approval. Rose opened the door and Hank made himself comfortable. Each time Hank called her that, her feathers ruffled a bit. It’s not that she didn’t like Hank’s nickname for her. She just didn’t like his bold intimacy. He inserted Rosewood into their conversation the first time they met. Usually, nicknames were shortened versions of a cumbersome title. Rosewood was complex and stronger than just Rose. She never knew a Rosewood. She was named after her grandmother, an nostalgic name, a soft and feminine name. But it made her feel old and vulnerable. Rosewood suited her. Hank took a sip from his beer and set it down on the table. He was gruff, but funny. He stayed too long most of the time. But he would do anything for her, if she just would ask. But she never asked. Tonight with the full moon, she wanted to bathe in its glow. Alone. From behind him, Hank pulled out a bottle for her. He placed it just so in front of her as if he was presenting her with an award. It wasn’t a beer, but a clear liquid in a lovely bottle. Blue lettering in cursive. No graphics. Elegant. Hank enjoyed a bit of gin, too. She and Hank were an odd couple, if couple was the right term. He was as much of a connoisseur of beer and an occasional gin as she was with herbs in her garden. Who would know that the two would cross and make sense? But they did. Hank turned on Pandora. He knew what Rose liked but always started with his channel. And yet, so separate that Hank gathered a blanket and gently covered Rosewood curled up on the couch as he locked the door behind him. There was a full moon that night. There was always a full moon’s glow for Hank and Rosewood. Our writing group met last night. We had new members join us and our prompt master was more than masterful. My luck of the draw’s image and opening line was: There was a full moon that night; there was always a full moon now. I do not have an attribution for either images or the prompt. If anyone knows, please let me know! Every so often our writing group meets. Yesterday we sat under the bliss of morning air while a mother duck and two ducklings wandered by. Flowers bloomed around us as we feasted on food that filled our bellies and communion with one another that filled our souls. I am so full of gratitude to have these women in my life. It was my turn to bring the prompt. I work from images. I write a movie in my head with each poem or musing I pen. It’s who I am. Maybe because I am an actress or a child who sees the world in bright colors and story. I brought images from which each of us chose one. Then each of us offered a word that we had the option of using or not: sweet, suspicious, shadow, clumsy, ice, monarch. Moon rested between the split of rock. Sweet sadness poured into the stream below. Lada wiggled her toes in the dripping as she ached for Moon and its tears of a clumsy affair gone awry. It was a shadow of her own. The night cast its spell around Lada hiding trees and blooms, rocks and fractures. All that formed were sounds or scents – hoots and musty rose, bright eyes and scattering stones. She was safe, a monarch in this place of solitude interrupted only by that which wasn’t seen. Moon’s bright face shielded all but the sorrow. It was a cycle, her cycle, one she understood. Under dark Moon before the silver crescent kiss began to appear once more, there was always chaos in Lada’s life. It was as if they waited for the deep dark to come out and play. Play was too easy a word. No, not play. Under dark Moon life released prisoners to do their deeds, revel in their piracies, prick her until she bled. This was all she knew of dark Moon, suspended until silvered light issued its shape once again. She learned dark time was time to be still. She learned to watch, not jump. She mastered protecting herself, mostly. It was a hard study. She usually remained suspicious under dark Moon, at least until this last round. Then, mostly, as the delicate sideway smile of light entered the new course, Lada could breathe more deeply. Her shoulders would drop, her jaw loosen. Hope and new ideas would grow more freely each fertile night. Her stride became smoother and in sync with afterlight music. As Moon grew fuller like a woman’s belly filled with life, she could sing again and smile. Moon’s luminous glow accorded to her once more, Lada overflowed with joy and danced her purpose under full-blessed glow. Tonight was different. Caught up in her exuberance, Lada forgot. She entered dark Moon time unguarded. And now full Moon rested between rocks, dripping its dream into the stream. Lada could only watch, listen to Moon’s loss while her toes dabbled in moon-glow tears. An ice story she knew much too well. Siggie created the world in new way, which pleased her. Every day. In the summer she would get up before the sun. She wouldn’t take the scissors with her. She felt scissors were too cruel, snipping stems with lethal blades. Bending and snapping was much more humane. Her gentle touch and gracious thank you to each stem was more kind. Siggie knew flowers would be pickable only if they were ready. Mrs. Parson’s flowers were generous and no one would know that Siggie took them. She would never take more than needed, just a small bouquet that would fit perfectly into her slender hand. In the dark she could never really tell what color the flowers were unless the moon was full, so Siggie’s bouquet was always a rainbow. Except once when all the colors were blue. That was a sign. The blue flowers were gathered the morning after the night Alfred left without telling her. Siggie allowed the bouquet to dry out completely with no water in the vase because there was nothing left to water between Alfred and herself. Once they were dry and faded to a light yellow ocher with a hint of baby blue, she took the bouquet to the park on top of Smoky Hill and let the wind blow away each petal, one by one. And with each loss of a petal she remembered and then thanked Alfred for what he had given her. It was her way of saying good-by. Every day Siggie would play. Today she sat in her chair by the window overlooking the alley. She was on a corner of the building and could see both the street and the alley, if she crooked her head out the window. Today she chose not the street with people emerging from their morning routines, but it was the alley she looked down. Opening the window she felt the icy bite of wintered air. Early morning light didn’t shine all the way down to the end. Not just yet. It would take a few more minutes before the sun was high enough to make its crossing to illuminate the entire alley. Siggie knew this. She liked to watch the sun’s path over hers. Today it wasn’t the sun she wanted to play with though, it was the shadows that pulled her interest. Darkness, shadows, black holes, fascinated Siggie. She always wanted to step into them to see where they would lead. She knew that they were just regular parts of the world veiled in black. But somehow, somewhere she knew deep down that there was more to shadow. Siggie re-arranged her chair for a better look. A flash caught her eye. It wasn’t big. It was almost as if someone was lighting a match and then blowing it out immediately. Siggie didn’t move. She held her breath. Just as she was about to exhale, it happened again. This time it was more defined. It was a bigger flame. And just as soon as she realized it, again it was swallowed by the blackness. Siggie decided three was the lucky number, the sign that she needed to investigate further. It took only another moment and there it was. The flame was bright blue, about the shape of a hand, fingers closed, palm flat facing her. It burned and flared. When it went out, it didn’t just vanish. It was as if it had been pulled away, sucked into the deep dark, black hole. She had to hurry if she was going to find out what it was. She didn’t worry about shoes. Siggie knew she had to get down three flights of stairs, out the door, and through the alley before more sun threw its light to dissipate the secret. It was cold, but that didn’t matter. She was in her pjs. That didn’t matter. Something inside Siggie told her that this was important. Something would be re-arranged when she found out what the light was. “Good morning, Siggie.” Old Mrs. Crane peeked out of her door, always nosy as to what was happening in the building. “Morning.” Siggie flew down the stairs. “Ouch!” She slid in her socks and hit the front door too fast not getting it opened quickly enough. She bumped her elbow and forehead against it. Siggie never considered herself graceful. As Siggie headed down the front steps, the sun was getting higher. She had to hurry. A quick right turn and she bumped into a man with a backpack looking at his phone. “Sorry.” Siggie spun him around. He paused and watched her disappear down the alley. All she could think of was the sun. She could feel starting to cross the back of her head. And it was getting higher. Just as Siggie’s feet came to edge of the darkness, the sun positioned itself just right to extinguish the last bit of shadow. Everything that was once in blackness shined as if it was taking a curtain call. Laying at her feet were three spent matches. The number three was a lucky number, a sign. Siggie picked up the burnt sticks and walked back to her apartment. Today I was lucky to offer a Creative Arts Gathering at my church. At A Church of the Holy Family, ECC, I am honored to be their Artist-In-Residence this year. I am grateful to have not only the space to create and write, but the people who love doing it alongside me. The format is open to all, not just for writers. All forms of creators are welcome. I offer a prompt from which we can write, draw, or meditate. Or not. Artists may work on any project of their choice. We do this for a half hour without talking. Then we share, also optional. 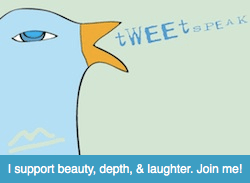 I chose our prompt from a site that continually offers me inspiration – Tweetspeak. Take a look at what they do. It is tremendous. Today we used Tweespeak’s current Poetry Prompt – Daydreaming. For my story, Siggie, I used words from the quote by Sigmund Freud. Marguerite was known for her magnificent flowerbeds. Every shape and size held court, not one diminished by another for its size or stature. She honored them all with the attention of a good friend and fair lover. They were forever in bloom, as all flowers were at that time. Never a petal fell, not one ever released or given up. Never a blossom drooped in any pot or plot across the valley. They lived under the sun and smiled through the snow. But stayed their place, as all good flowers should. Until, that is, the morning following the night before, whether by reason or dreaminess, Marguerite neglected to close her dining room window on her way to slumber. When the sky turned creamsicle shades against the heliotrope and azure sky and birds raised their chants to welcome a new day, Marguerite turned her eye to the dining room window knowing an addition filled space once empty. On the sill facing south, in a Delft blue earthenware vessel, sat a daisy so fair, so perfectly shaped, so splendidly flowery that children would be drawn to peek inside, especially as cool fall breezes allowed for open windows and curious eyes. It was a Cape Daisy, lightly tinted lavender with a purple eye so deep it could almost could have been an ebony marble. No one had known this flower before it showed up on Marguerite’s sill. That morning it was just there. Marguerite smiled at her whimsy of leaving the window open with little worry of Night Visitors that sometimes made themselves at home. Once when Marguerite left the window open, Night Visitors reveled under a sleepy moon through her house until all her dishes were upside down stacked one on top of another with such precision that one little tick, one little puff would have sent them tumbling. But Marguerite was a kind soul and moved with such gentleness that even the most busy of souls stopped and took a deep breath as she passed by. There was no fear of tumbling. The dishes barely clinked as she lightly set them once more into their correct places. So it was on the morning of the first day of the Cape Daisy that Marguerite pulled a chair up to the lacy draped sill for a visit. “Hello.” Marguerite folded her hands gently in her lap. The Cape Daisy nodded. Marguerite recognized the reply. Others would have attributed it to the breeze. Marguerite picked up her crochet needle with thread so fine, the children thought she created cloths made of spider silk. And there Marguerite sat for most of the morning with her new friend until the lunch bell rang and school children began their trek home for their afternoon repast, a nap, and then back again for their remaining lessons. Marguerite, too, disappeared into the kitchen for her lunch. As Marguerite left, she didn’t see the Cape Daisy turn its head toward her exit, nor the slight shiver running down its stem at being left alone. The Cape Daisy is also a delicate soul and once a friend is made, even a short time apart is a sorrow for the Cape Daisy. But as promised, and Marguerite never let a promise float away, she returned with a glass of warm lemon water. Somehow she knew the perfect temperature. As she approached the Cape Daisy she noticed a tear-shaped petal from the perfectly ruffled face had slipped to the floor. She poured the water around the graceful stem and it gurgled down into the thick loam. Marguerite lifted the tear-shaped petal from the floor and walked to the bookcase. Marguerite opened a photo album. It had photos of every type of flower one could imagine, and they all forever lived in her garden. She kept photos to remember her lovely friends in the depth of winter. Because, even though they never lost a petal or a leaf, Marguerite preferred the warm winter fire to boots and coats and scarves and mittened hands holding her shaking stick used to lighten the load of snow from her garden mates. She turned to the first blank page of the album and lifted the clear cover and placed the Cape Daisy’s tear-shaped petal on the sticky paper. And then she turned back to the Cape Daisy. It was dancing. Although anyone else would have said it was the children laughing and giggling and touching its petals that made it move, Marguerite knew better. And the children skittered away and the Cape Daisy sighed. Although anyone else would have said it was the door closing at the school across the street. And this went on for days, fourteen exactly. One day for each tear-shaped petal surrounding the deep purple eye of the Cape Daisy. Sometimes the petal blew further into the house to remind Marguerite to return. Other times it lifted with the breeze to the back porch as Marguerite read Shakespeare. It would land exactly where her eyes met the poetry on the page. And she would return to the Cape Daisy and read aloud until dinnertime. No matter where Marguerite moved, even when she visited the farmer’s market for some fresh eggplant, she would find a lavender tear-shaped petal resting in her sight. Marguerite continued to place the tear-shaped petals in the album drawing a perfect remembrance of the Cape Daisy. She began to worry what would happen to her friend once all the petals fell. When there was only one petal left, she thought she should stay with the Cape Daisy and never leave it. But that is not what life is about. One must trust that all will be well. On the last day, when all that was left was the deep purple eye, Marguerite sat with her crochet needle and hummed a lullaby. For she knew it was time for the Cape Daisy to rest. When she finished, Marguerite snipped the deep purple eye off the now fragile and wilting stem and wrapped in a spider cloth. She strode to a new garden plot she had prepared. Marguerite buried the eye not too deep, but just right. She didn’t know what would happen, but somehow she knew this was the right way. In the middle of winter, when fire burned warm and Marguerite sipped a big mug of hot chocolate with homemade chocolate marshmallows, she would first wander through her picture book of flowers. Then with a spider cloth in hand, she would visit each tear-shaped petal of the pieced together flowers the Night Visitors continued to leave on her window sill through the fall and remember their gentle and grace-filled presence. 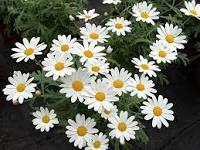 In the spring, Marguerite and the children, as well as everyone from near and far, rejoiced in the new gardens. And the old flowers, that refused to release their beauty, surrendered now understanding the promise of new birth. You see ardent flowers are great and sincere friends with tender hearts. When their loved ones leave their presence, it’s too much sorrow to bear. Not wanting their loved one to lose their way back to them, their tear-shaped petals mark the journey home trusting all will be well. And so, this is the wisdom of the first flower who lost its petals. Oh, how I love our writer’s group. With busy schedules what was once a week meeting, now is a infrequent pleasure. We need to gather more often. http://www.writerswrite.co.za. It was 20 Prompts for Writing Myths, cut into strips and each one of the writers picked one. Mine was to explain why flowers lose their petals. Perfect for the gardener in me. While her brother, the good son, the proper child, was studying arithmetic, she gently placed her wings by the kitchen door. She didn’t want them to get in the way. They never did, however. No one ever really noticed them. The others were too busy admiring Eric’s halo to notice Tay’s wings. Tay loved this time of night after dinner, especially in mid-October when it was getting darker earlier. Eric was, as usual, self-absorbed. And Mother and Father were always absorbed with Eric. So when the rain began and Mother pulled the drapes so the cold wouldn’t bother her precious son, Tay slipped down the hall to the kitchen, onto the enclosed back porch, and stepped into the wet autumn night. She raised her face to the sky letting the rain fall across her face like tears. Only these tears weren’t the hot salty ones that carried grief from her soul to water the soil with the hope of growing something beautiful. No these cold tears rained down her face, cooling her fire. She could feel their journey down her neck and between her breasts stopping just short of her naval. Tay walked towards the little white gate that led to the forest. When Eric was born, Mother insisted Father build a white picket fence so Eric wouldn’t wander into the forest behind their house. Father did everything Mother wanted. Tay decided it wasn’t because Father loved Mother. She knew that wasn’t true. Father spent too much time away from Mother to love her. Father did everything Mother demanded, not because of the money they would inherit someday when Grandmother finally passed, but Tay knew it had to be because the family name was to be passed on by Eric. Tay never understood why this was so important. But it was. And life in the household bowed to Eric. The little gate to the white picket fence that was only high enough to keep out uninterested wildlife never interested Eric. He never left for the forest. As a matter of fact, he never went further than the back porch with its windows looking out over the green grass and dark forest beyond. He always sat in the same place staring, never moving. He would get his notebook and write equations for hours on end, occasionally looking out the windows. However, the little gate always fascinated Tay. Rather, the forest beyond called her from the first time Mother set her in the grass and returned to the porch to sit with Eric. Tay learned quickly how to work the gate clasp. The first time she got out, she was about two years old. She remembered hearing Mother call to her, but no one ever came to get her. Tay wandered for hours in the field between the house and the forest, afraid to venture into the dark. Later, when Father returned home, Tay was retrieved and spanked for being a bad girl. It was then Tay decided she would someday leave for the forest. But it wasn’t as big a deal as she thought it might be. Soon her parents were totally ignoring her and she was free to explore as far and as long as she wished. As the years passed she would bring trinkets and blankets and extra clothes to leave behind. She found a perfect cove where she placed some books and a few snacks she kept in Tupperware bowls with lids so the animals couldn’t get into them. Leaves and ferns decorated her forest room. Animals would pass by as she read or recited poetry or painted. They would pause and she would welcome them and they would go on their way. Tonight the rain was falling with a fury she didn’t understand. As she walked, she kept her face to the sky. She didn’t need to see the path. She knew the way by heart. The rain left a sheen flowing down her body. Her clothes became heavy, soaked with tears from the sky. Tay knew there was going to be sadness soon, a deep sadness that would engulf her. She could feel it. But she wasn’t afraid. She knew she had a safe place to ride out the storm. Her cove would be almost free from tears falling from the grey autumn sky. She would wait and listen. She would know what to do. Something would tell her. After she changed into dry clothes, she settled into the cove lighting a lantern she stole from the garden house. Father looked for it for weeks after she took it and Mother laughed at his forgetfulness. Mother was sure he had thrown it away or left it at some campground hoping for an excuse to get a new one. Tay loved the lantern because it belonged to her Gramps. It was rusty, just like he was. But it gave beautiful light, just like he did. She missed him, especially on rainy nights like this one when he would make her hot chocolate and read her poems from Whitman and Dickinson and stories from the bible. Tay was a bit cold and wrapped herself in one of the blankets. She was opening her book of Emily Dickinson poems in honor of her Gramps when she heard it. First, two quick pops. A pause. Then one more. It was unmistakable. Father practiced every week and she would hide in her cove with earplugs not to hear the crisp fire-cracker snaps of his pistol. He was an expert shot and he never missed.